CLICK HERE to see THIS WEEK AT GEORGES VANIER in TWEETS! Thank you Surrey Fire Hall 10 for the generous donation of snacks. Arrrrrgh! Pirate Day buddy reading. Dayton did his part to stuff the Learning Commons. Ethan presents Mr. Vendramin with a painting of Golden Ears Mountain he painted himself! Vanier student Eric at the recent Skills and Trades fieldtrip to Kwantlen Polytechnic University. Another Vanier student makes the Surrey Schools newspaper. VIDEO of the WEEK: Buckle up your children! Today was one of those days that really reinforced my love of teaching, learning, and sharing with my students. I was SO impressed by the number of families, 18 of my 29, who were able to participate in our Student-led conferences today. We had moms, dads, older siblings and family friends! I know for many that meant changing their normal routine, switching things around at work or leaving other commitments, but the message was clear and powerful. You care and want to be involved in your child’s learning. Not to say that those families who couldn’t attend don’t care, I know that you do and for you taking time at home to do the conference, thank you too! Parental involvement is key to a child’s success at school and I am so excited with watching my students share their learning by becoming the “expert” with math examples or through watching the pride light up their faces as they open their Fresh Grade portfolios and watch the videos of their speeches or Hula hoop presentations. Through their Fresh Grade portfolios, our parents and students are able to watch, share and learn from what the students do on a daily basis. To say nothing for the fact that all of our invested parents who help out at home, you get to “see” how it all turned out and watch the speech or the Inquiry Day presentation. As a working mom myself, I find this “window” into student learning such a wonderful and exciting opportunity to shed light on all that goes on in our class and with our students. Thanks again for making today a great day! As you know, teachers are in a legal position to strike and beginning April 23rd, they will be in phase one of their job action. This first phase will see teachers reducing some activities like supervision and communications with management but these actions should not directly impact your child. While there likely will be no direct impact on children in phase one, it is important to know that it will not be business as usual in our schools. Your most important point of contact for your school will remain your classroom teacher and principal as they will have the most current information as the strike progresses. 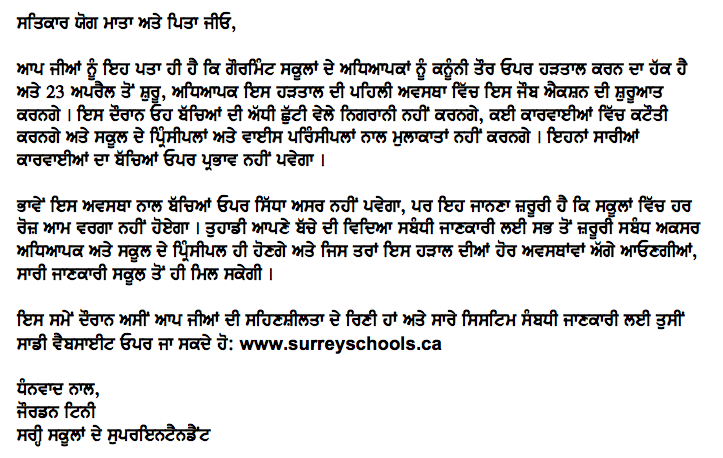 We appreciate your patience and we will continue to provide system-wide communications through our website, www.surreyschools.ca. Father and son learning together at StrongStart. Four decades of research and hundreds of studies have proven what should be obvious to everyone: The more involved a dad is, the more successful his children will be. A father’s influence can determine a child’s social life, grades at school, and future achievements. The dad effect starts as early as birth. A review of studies by the Father Involvement Research Alliance shows that babies with more involved fathers are more likely to be emotionally secure, confident in new situations, and eager to explore their surroundings. As they grow, they are more sociable. Toddlers with involved fathers are better problem-solvers and have higher IQs by age 3. They are more ready to start school and can deal with the stress of being away from home all day better than children with less involved fathers . At school, children of involved fathers do better academically. For example, a study by the U.S. Department of Education found that children of highly involved fathers were 43 percent more likely than other children to earn mostly As and 33 percent less likely to repeat a grade. They are also less likely to have behavior problems at school and to experience depression. This information retrieved from Georges Vanier’s Learning Commons Page. This year the ‘Natural Disasters Club’ meet over a three month period in the Georges Vanier Learning Commons. Three classes, about 75 students, participated from grades 3 – 5. The goal was to encourage reading using a high interest topic using fiction and non-fiction sources. 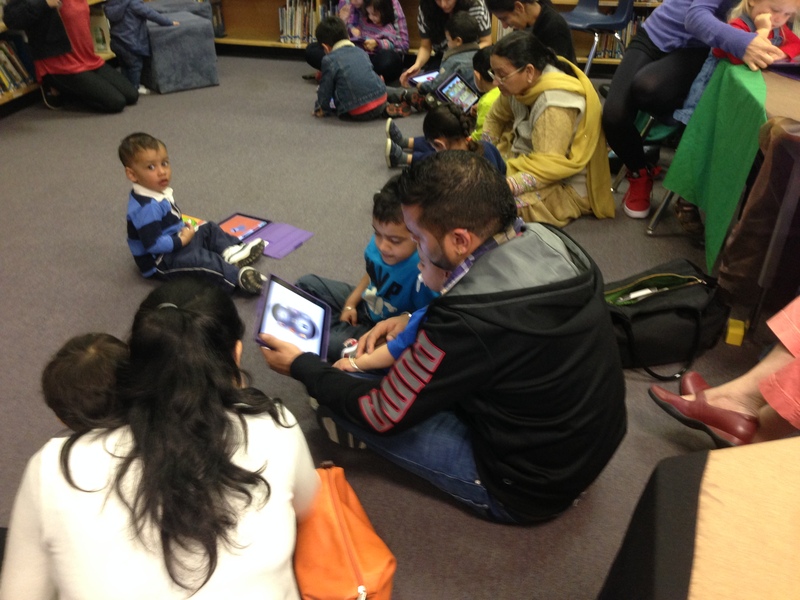 Students blogged their ideas, created digital art, showed their learning through a variety of apps and web based programs, tweeted their progress and read, read, read. Students designed and created T Shirts to reflect on their learning and each made an iMovie Trailer to bring together the many facets of the project. We are appreciative of the My Class Needs and Fuel Your School programs for the support for this project. This part of the Vanier News is usually reserved for uplifting or inspiring videos. This week, the shared video reminds all parents about the importance of seatbelts in cars. Serious injury and even death can occur, even at low speeds, without seatbelts. And yes…accidents can happen on the short trip to school. Keep our children safe and buckle them up in the back seat. Thank you! 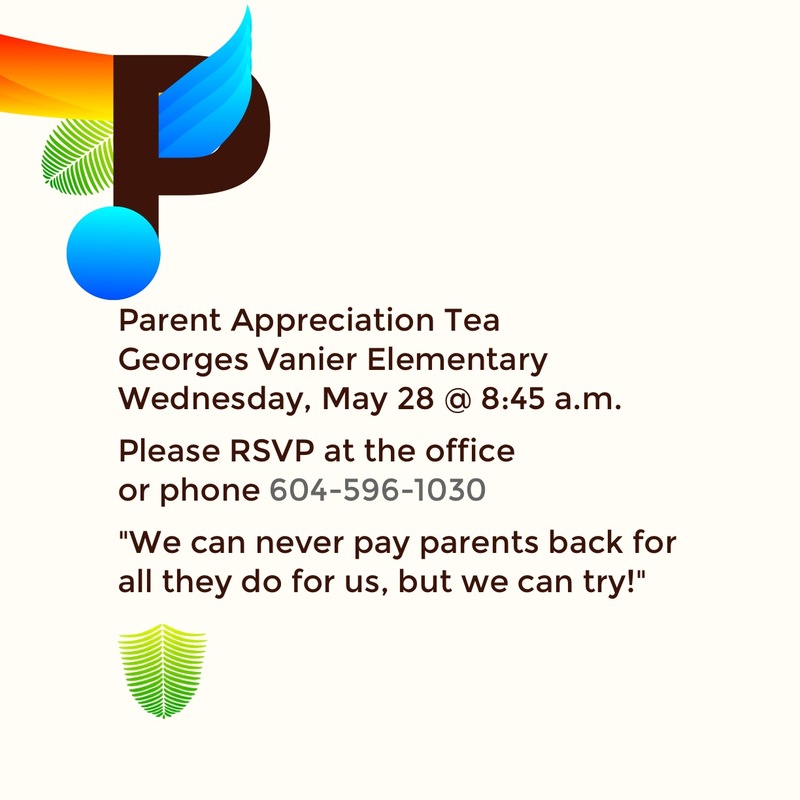 28 – Parent Appreciation Tea – 8:45 a.m.
12 – Year-end Grade 7 Band Concert – Assembly – 9:00 a.m. This entry was posted in Vanier News and tagged @a_crosland, @CopelandBecky, @georgesvanier36, anna crosland, antonio vendramin, assessment, avendramin, becky copeland, communicating student learning, crosland_a, David Dekerf, driving safety, georges vanier, georges vanier elementary, georgesvanier, home school communication, kiva, learning, learning commons, lynne porpaczy, making mistakes, math, PAC, parenting, parenting corner, parenting strategies, parents, pirate, pirate day, pirates, seatbelts, student led conferences, surrey, surrey schools, surreyschools, teaching, vanier, vanier news, vaniernews, vendramin. Bookmark the permalink.